View our entire Spanish inventory below or refine by producer or vintage by clicking the drop-down menus above. 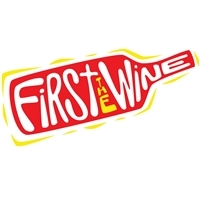 If you have questions regarding the price or availability of any bottle, feel free to call us at 323-937-9463 or e-mail us at info@firstthewine.com. Don't forget about our 10% mixed case (12 bottles or more) discount! Wines marked NO DISCOUNT do not count towards required 12 bottles and, of course, do not receive the mixed case discount.